Video games have long been criticised for encouraging violence and antisocial behaviour. And parents often express concern that they could have detrimental effects on their child's learning abilities. But research has shown that off-the-shelf video games can also aid learning – particularly when it comes to the development of spatial skills. These issues have arisen once more with the most recent release from Rockstar Games: Red Dead Redemption 2 (RDR2). The game certainly contains a lot of violence, but it might inadvertently aid development of spatial skills – perhaps even more so than other video games. What are spatial skills and why do we need them? Spatial skills refer to our ability to rotate and conceptualise 3-D objects, and to decipher maps, graphs and diagrams. These are essential skills within the science, technology, engineering and mathematics (STEM) sector. One spatial skill that is common to several engineering and science disciplines is the ability to visualise a 2-D cross-section through a 3-D object. The development of spatial skills is particularly relevant to the field of geoscience. We use these skills every day when we graph and interpret results of various measurements and experiments, and when we create traditional 2-D maps. These skills are also incredibly important when it comes to extrapolating the 3-D geometry of rock layers beneath the Earth's surface. 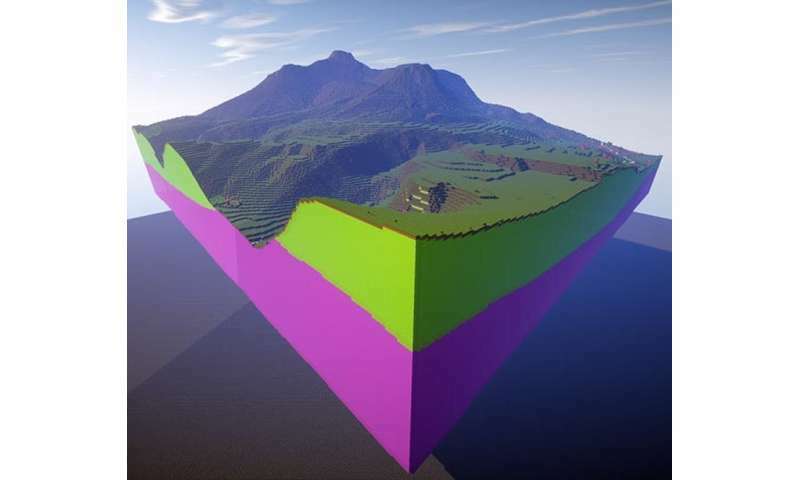 Take for example the below 3-D geological model, which was created using Minecraft. This image shows the layers of rock beneath the ground and how these interact with the surface of the landscape. My experience teaching undergraduate geology and field-based mapping classes in the UK and Australia has shown me that students really struggle with the higher-level spatial skills. This is not a new problem, but it is perhaps more challenging for today's students who have grown up navigating using Google Maps rather than a street directory. Research has shown that our dependence on satellite navigational systems, such as those in our smartphones, is having a long term detrimental impact on spatial awareness and our ability to navigate. So, we need to consider other means to help students develop these skills. How does RDR2 teach spatial skills? In RDR2, you play the character of an outlaw in a fictional part of the Western United States in 1899. During the game, the outlaw protagonist struggles to find his place in a society that is increasingly introducing more law and order. The protagonist embarks on numerous missions, which guide the player through a linear story line. The game also allows and encourages players to freely explore and interact with a virtual open world before, after or between the story line missions. 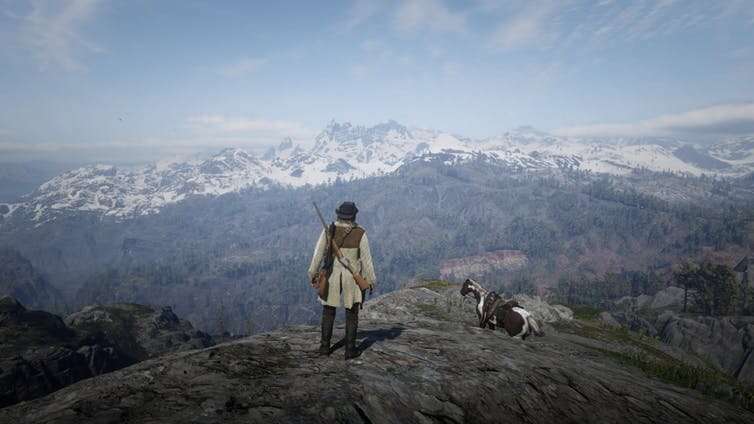 The virtual world in RDR2 is incredibly detailed because it is derived from 3-D laser scans and drone imagery of real-world landscapes. This complex landscape requires players to navigate using a detailed topographic map. 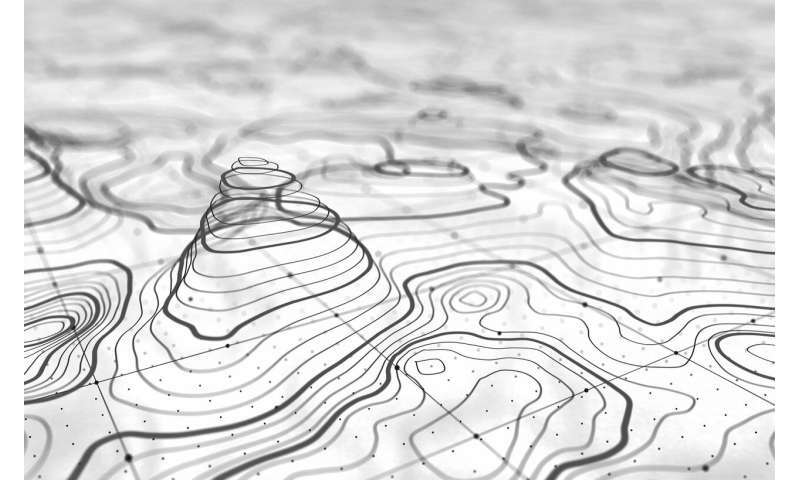 A topographic map is a map with contour lines that show places of equal height. Closely spaced lines indicate a steep slope, and widely spaced lines indicate a gradual slope. Players constantly use this map to visualise the terrain as they move around, allowing them to navigate and avoid obstacles – like falling off a cliff. Moving from place to place in the game can take considerable time because the player typically travels to most places on horseback, or on foot. 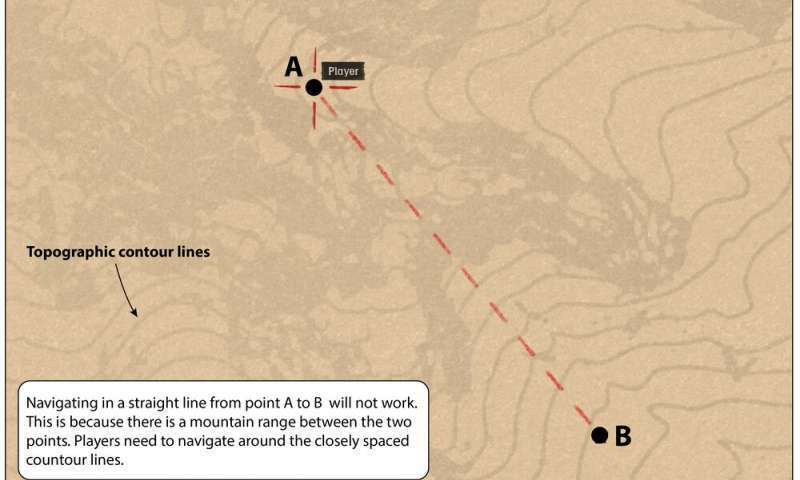 But players can save time by deviating from roads using the topographic map to plot out a faster route. This saves time getting from A to B, so players are rewarded for learning to read the map. Players are also encouraged to look for treasure and seek out unique hunting and fishing locations. Players need to use a series of clues and interpret mud maps to find these special locations. These experiences likely simulate the same thought patterns we use examining and interpreting maps of the real world. While RDR2 is certainly a violent game (rated M15+), I hope parents and players might both appreciate the potential learning benefit relative to other games. It's safe to say we should expect future video games to match or better the level of detail within RDR2. This level of realism combined with detailed maps will hopefully help to develop those spatial skills we're losing by our dependence on location-based technology. Another potential positive is that the entertainment industry will need to recruit future STEM graduates to help them build factual and increasingly realistic virtual worlds.